Trimble has awarded a significant in-kind gift to the Department of Construction Management at Colorado State University (CSU) that will expand the university’s leadership in training and research for 3D building design, construction management, digital fabrication, civil infrastructure, geomatics and the sustainable built environment. The gift will enable CSU to integrate across its curricula Trimble solutions that are rapidly transforming how building and living environments are designed and constructed. Trimble’s portfolio of building construction solutions support the Constructible Process, Trimble’s approach for enabling digital transformation of architecture, engineering and construction (AEC) workflows. This process empowers disparate teams across the construction lifecycle with actionable data to improve productivity and reduce waste. The gift will be recognized as “Technologies by Trimble” throughout the Department of Construction Management. The department’s labs will include Trimble laser scanning, Trimble Field Link and Rapid Positioning Systems, UAS and surveying systems, and GNSS receivers. Trimble’s software packages will include RealWorks scanning software, Trimble Business Center, Vico Office Suite, Tekla Structures, Sefaira Architecture and its 3D modeling software SketchUp Pro, along with MEP software such as AutoBid SheetMetal and Mechanical, Sysque and AccuBid Electrical estimating packages. Potential applications of these technologies include scanning historic and other buildings to ensure their preservation as well as planning future renovations; designing and 3D printing of architectural building models; surveying and layout; and improving construction estimating and scheduling to reduce costs. 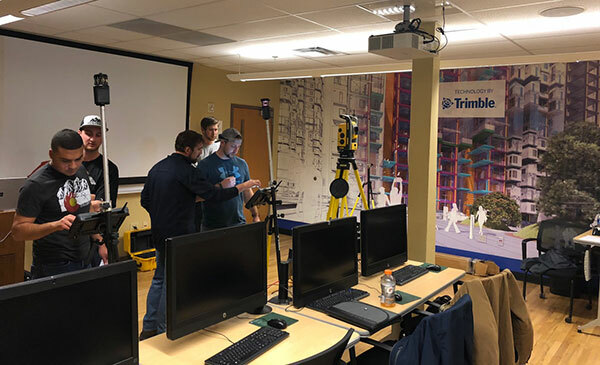 “Working with Trimble represents the culmination of a fruitful, multi-year collaboration between CSU’s Department of Construction Management and Trimble,” said Jon Elliott, assistant department head and undergraduate program coordinator in the Department of Construction Management. 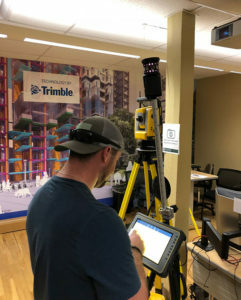 “Through numerous pieces of Trimble hardware and software applications, students gain important exposure to cutting edge technologies in surveying, virtual design and construction (VDC)-based estimating, site logistics, 3D modeling, building energy performance analysis, laser scanning, photogrammetry, and so on. The gift was made to CSU’s Construction Management Program in the College of Health and Human Sciences. @c_rizos: Very impressive Locate’19 conference, with over 900 attendees, https://t.co/hsrF7gb8nL. But it is an expensive conference. A week ago there was the much more reasonably priced APAS conference.